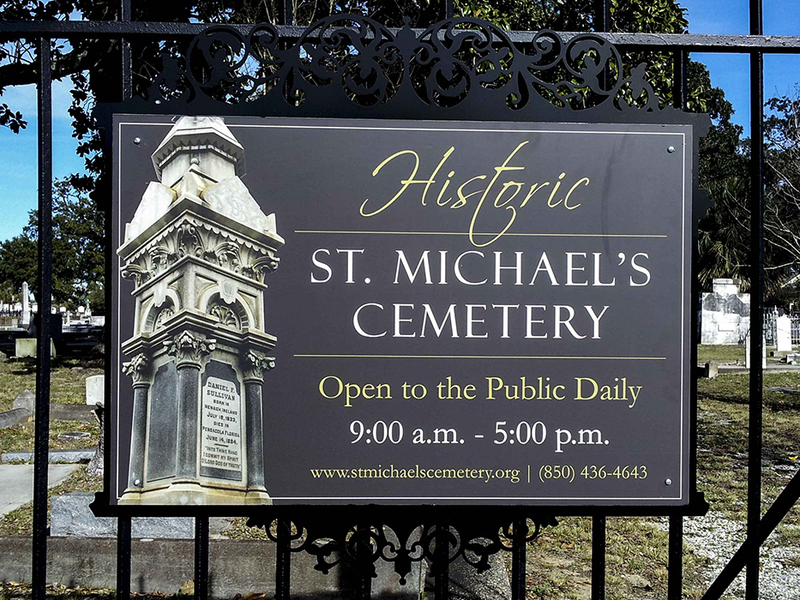 An eight-acre green space located in the heart of historic downtown Pensacola, St. Michael’s Cemetery was originally established as an official Catholic cemetery in 1807, its then 25 acres a sprawling expanse granted by the Spanish government to bury those lost. 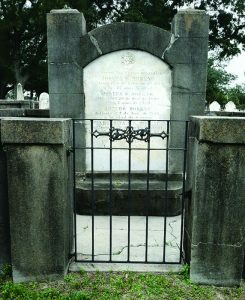 During the course of its active use, notable individuals were interred within the grounds, their many contributions to the world and to the establishment of Pensacola forever marked and memorialized by headstones and monuments too insubstantial to fully express their importance. But nonetheless, those carved stones and statues bearing names and numbers and immortal words are a testament to the many who have walked the streets of Pensacola and left a part of themselves behind as time marches on and history is made. Through its many years of use, the cemetery’s inhabitants greatly enriched the history of Pensacola through their presence both in life and after, as the grounds of St. Michael’s are the final resting place of captains of industry as well those who died from epidemics of Yellow Fever, victims of steam ship explosions, and many citizens whose lives were cut short by the countless hardships faced by people during its years as an active burial site in a city—and a country—that was still often struggling to survive and learning to thrive. 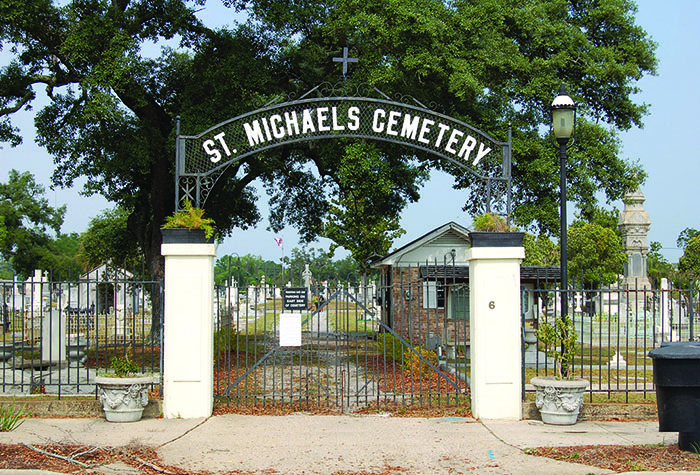 Though the cemetery was once used by the largely Catholic community, St. Michael’s was open to the other inhabitants of the city, residents whose walks of life and religious beliefs created a greatly diverse tapestry of young and old, rich and poor—each special in their own way. 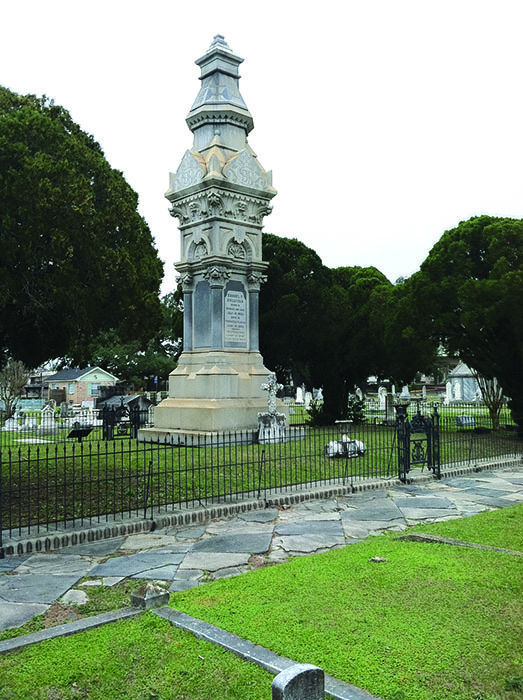 Approximately 3200 marked graves now dot the enclosed spaces of the historic site, though subsurface variances strongly indicate the possible presence of more than 4,000 additional unmarked graves. 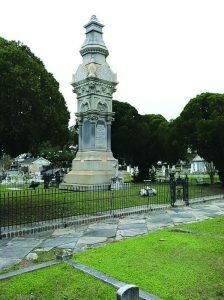 A truly unique monument to the past, the tombstones in the cemetery trace the city’s history, reflecting not only the status and ethnicity of individuals buried in its plots, but also the shifting of society in our coastal community of Pensacola as it developed and experienced both struggles and triumphs. The surviving colonial roadbed at the south end of the cemetery’s site is a further tie to the past—another way to walk a path traversed by so many souls that have gone before. Among its notable residents lies William Alexander Blount, a significant lawyer whose reputation throughout the country gained him the honor of becoming the President of the American Bar Association. A man of great integrity, Blount made an important contribution to law, politics, transportation, and philanthropy; and his generosity extended to the youth and the African American communities of the city he called home and beyond. 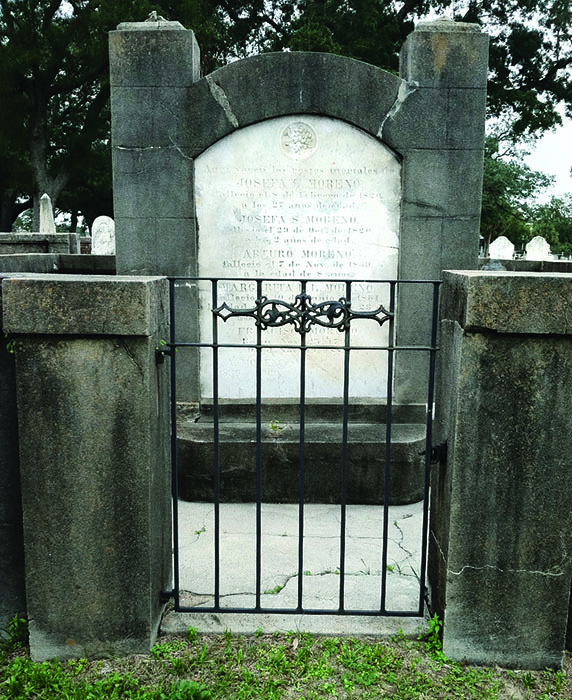 Preceding Blount in his interment at the cemetery, developer George William Faust is known for his notable purchases of land and the subsequent contributions made by his family as Santa Rosa and Escambia Counties were established. Among the parcels of land listed among his purchases is an area now included in the Naval Live Oaks Area of Santa Rosa Island National Seashore. The so-called “King of Pensacola” Don Francisco Moreno also resides on these hallowed grounds, forever remembered for his prominence in the community as an investor, developer, and the founder of the city’s very first bank. 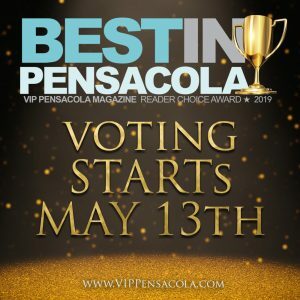 Serving as the official representative of Spain in Pensacola for 50 years, he forged an invaluable relationship between the city and his home country even as he helped Pensacola realize greater potential. Regardless of their notoriety or relative obscurity, all who have been laid to rest at St. Michael’s Cemetery have become a part of Pensacola’s history, deserving of respect and reverence as lives that helped shape the city. Preserving those precious souls and their presence here, the cemetery is now managed by the St. Michael’s Cemetery Foundation of Pensacola, Inc., which works closely with the University of West Florida and various other community organizations who share the goal of maintaining its existence and researching its inhabitants. 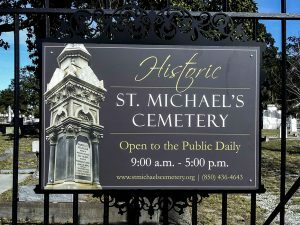 Open daily from 9:00 a.m.-5:00 p.m., St. Michael’ Cemetery is located at the corner of Alcaniz and Garden Streets, Pensacola, Florida 53202. 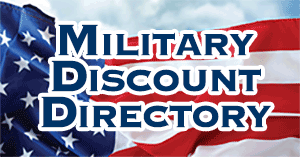 For more information, visit www.stmichaelscemetary.orgor call (850) 436-4643.